This photo journal is going to be a LOT shorter because I realized that it takes FOREVER to upload photos, it is currently 10:42 PM and we have to be downstairs at breakfast at 6:30 AM. Oh, and we walked 9-point-something ridiculous miles today. I am going to throw in a few though. Oh my goodness. I just found the best reason to get married ever. 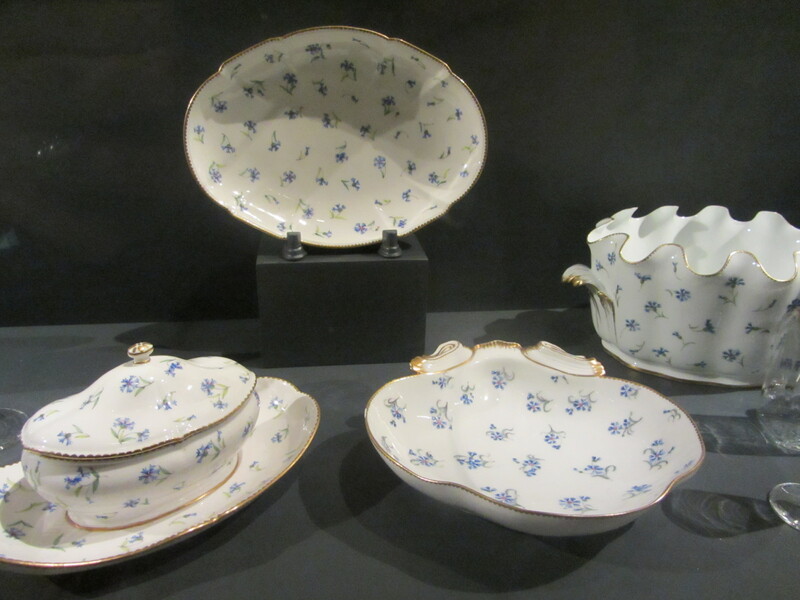 I so totally want Abigail Adams’ china. It is so awesome! Do you think they sell it at Bed, Bath and Beyond? 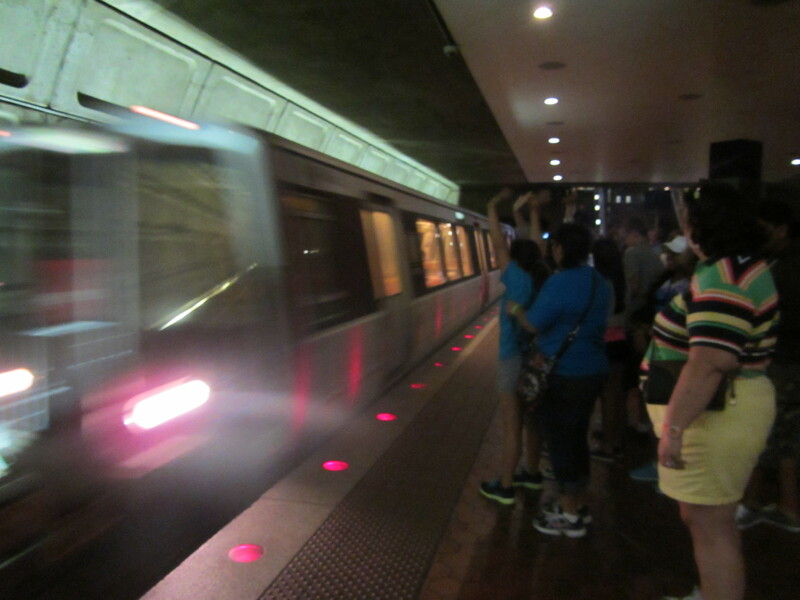 Metro ride from Union Station. We literally bought the kids tickets so that we could ride 2 stops and then come back. Most of them have never been in a subway before. We thought it would be fun for them. It was a success!! 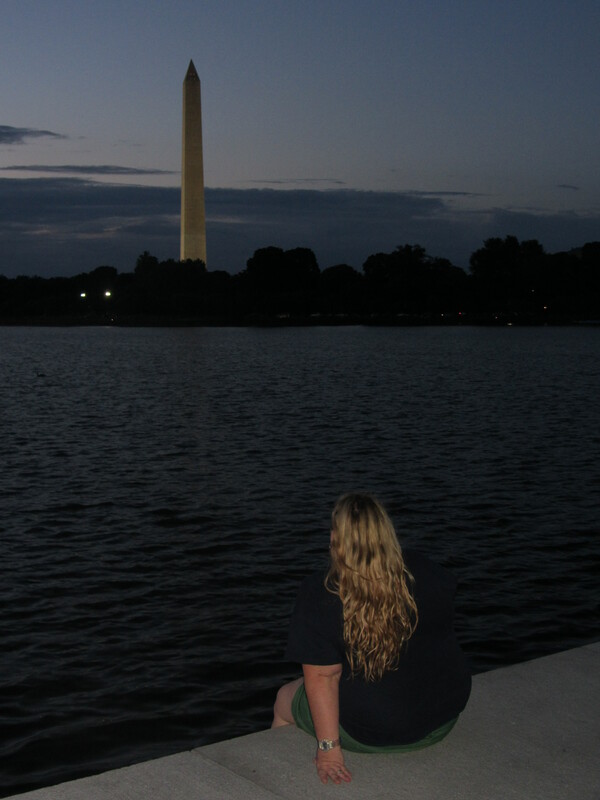 This is at the Jefferson Memorial. It’s behind me. I LOOOOOOVE this vantage point and wanted a picture like this. I really, really like how it came out!! 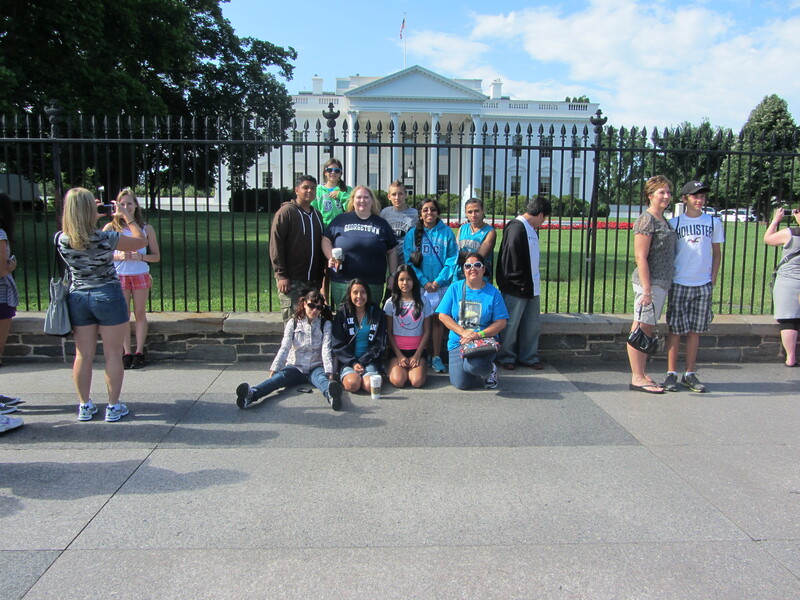 In fact, it went so well that we have an all-kid group shot that is done this way, and it is so cute! Okay, so they have this booth in the Evolution (I know, I know….) section that will take your picture and then make you look like you “would have” in like, a million BC or something. Then you can have it emailed to you. So, besides the fact that I look like I have a milk moustache I think this is pretty cool. 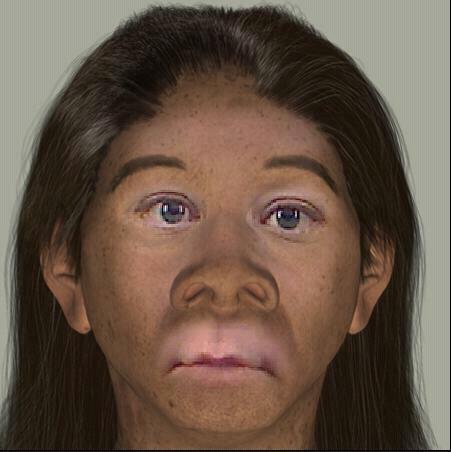 Although I don’t think that “early man” had blue eyes…..